1 How to Stretch leather boots at home using simple tricks? 1.1 What is the need for stretching leather boots? 1.2 How to stretch boots for wide feet? 1.3 How to stretch leather boots? 1.4 How to stretch sneakers that are too small? 1.5 How to stretch heels that are too small? How to Stretch leather boots at home using simple tricks? People tend to ignore their feet and take them for granted. The concern arises only when you face discomfort and pain due to ill-fitted shoes. This reason you must know how to stretch leather boots at home. There are many times when you end up buying a pair of shoes that are a size smaller than your feet. This causes a lot of pain, and you feel the need of stretching them using shoe stretchers. Show stretchers are the essential equipment that is the need of time. What is the need for stretching leather boots? Many times you buy your favorite pair of boots online, which you cannot practically try before purchases. Thus you end up buying shoes that are either too small or ill-fitted for your feet. There are various shoe stretchers available in the market which helps you to conveniently stretching the footwear. When you are struggling with how to stretch leather boots, you can also try some real-life hacks to increase the shoe size. How to stretch boots for wide feet? Sometimes people who suffer from wide feet cannot wear silhouettes that are narrow in the front. Despite being fond of such footwear, you cannot flaunt them because of your wide feet. With some simple tricks, you can stretch your narrow shoes to adjust according to the wide feet. You may either do it using a shoe stretcher to increase the width or try some DIY. Wear heavy socks or layers of socks and slip inside the shoes. Walk around the home for whole days to make it wide. Shoes that have laces can be easily adjusted by adjusting the lace for wide feet. Wear shoes that are made of stretchy material and use shoe horns to adjust. Leather or stiff material shoes cannot widen according to your size. Cut a small triangle on the edges of the soft leather shoe. Wear them and then glue the edges according to your size. Fill in a zip-lock with water and stuff it inside the boots. Refrigerate for few hours and remove the zip-lock. This method helps in adjusting your boot size to a great extent. Wear multiple layers of socks and slide in the boots. Keep it on and blast it with a blow drier. Now pull out the socks and wear them again. You will find it in good fitting. Rubbing alcohol also helps in adjusting the leather boot size. Wear the boots and sprinkle some alcohol mixed with water (70:30). Spray it on the areas that require adjusting. Take them off and leave for few hours. Wear them back, and you can feel the changes. Boot stretchers also help in adjusting the size. However, over-clamping can ruin your leather boots as well. Thus, you must follow all the instructions on how to stretch out shoes with a boot stretcher before trying it out yourself. How to stretch sneakers that are too small? When you buy a pair of sneakers that are too small may lead to bunions and pain in the feet. When the sneakers are a size shorter, it needs to be adjusted throughout. Thus, without focusing on a particular point, you can increase it by almost 1”. Roll up socks balls and stuff your shoes with it. Keep them overnight and check for the size next day. in case of more adjustment, you may repeat it again. Use some zip locks filled with water. Stuff the sneaker with zip-lock and freeze them. Once the water in zipper freezes, pull them out and try wearing the sneakers. You may try adjusting the size using the blow drier method as well. Just wear multiple layers of thick socks and slip inside the sneakers. Blow dries them while they are on. This process can give you temporary relief from smaller sized shoes. You may adjust the laces of the sneakers as well in case they are a size smaller to you. Use tong depressors to increase the size. How to stretch heels that are too small? When the heels are small, you may suffer a lot of pain and discomfort on wearing them for a longer time. Thus, you must adjust the size that is small. Use the freezer method and extend the size of the heel. You can also use the sock ball process to increase the size from the front to slip your feet inside. Simply wear the new pair of heel all day to adjust it according to your feet size. Wear your pair of heels with socks if they are smaller than your feet size. Keep silica gel packets on your heels if you are not wearing them for a while. You may use shoe stretchers that are specially made to adjust the heels. You will find different stretchers according to diverse heel sizes ranging from 1” to 6”. Apart from a wrong purchase, sometimes people face problems with the shrinking of shoes as well. Materials like leather shrink over the period. Simple life hacks help you to stretch them whenever necessary. Sometimes shoes shrink due to the moisture content in the footwear. You may prevent it by using silica gels or bow drying them from time to time. 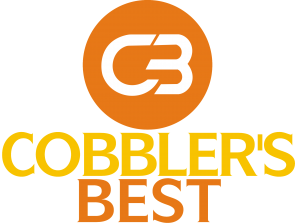 In case you are still in an awry on how to stretch out shoes perfectly, you may visit the local cobbler to get it done professionally. However, you must have some spare time for getting the adjustments done on them.